alongside Debby Kennedy, Greg Robeson and Wieden+Kennedy, and led the work for a decade. Not your average visitor map, but definitely more inspiring. Oregon Bounty large scale maps, folded and placed in indie book stores, coffee and wine shops. Back in the early 2000’s, artisan producers of all kinds--winemakers. chocolate makers, craft brewers, farmers and chefs--flocked to Oregon to pursue personal passions amidst the collaborative vibe of our food scene. Seeing this growth, we (Travel Oregon) invested in a national study that told us culinary tourism was on the rise, and the authentic, intimate food experiences Oregon offered were exactly what travelers were hungering for. But we needed a platform to pull it all together and communicate it to our target audience of culinary explorers. Oregon Bounty was born. Sometimes lesser known places have to act big. 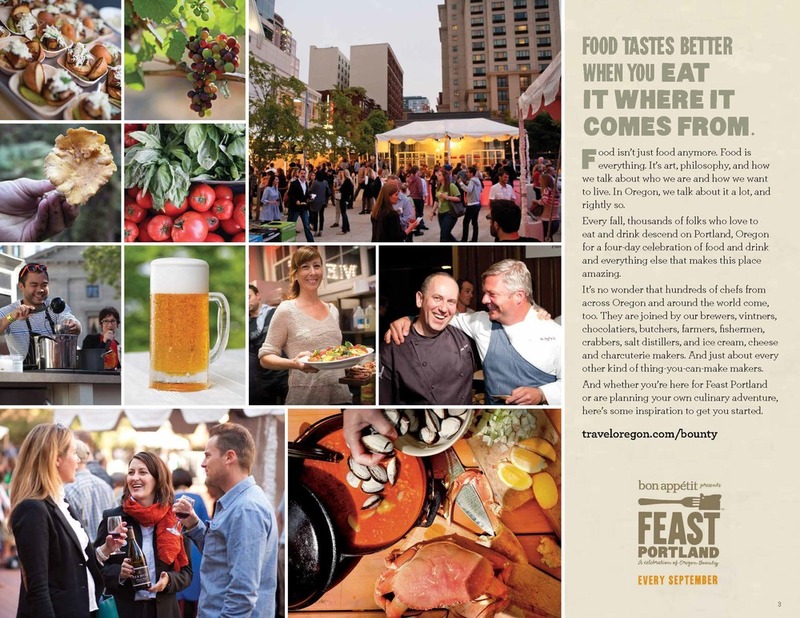 We created the "Oregon Bounty Food Assault" event in NYC to share Oregon's tastiest with 125 top food-world influencers.